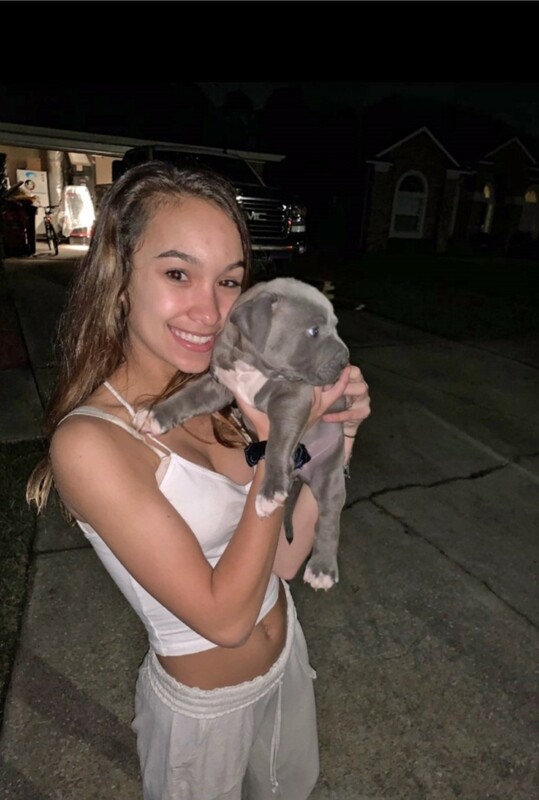 WE WELCOME EVERYONE TO COME OUT AND PICK UP THEIR PUPPY IN PERSON AND SEE THE DOGS, OR WE CAN HAND DELIVER YOUR XXL BULLY PITBULL PUPPY TO YOUR FRONT DOOR ANYWHERE IN THE USA! 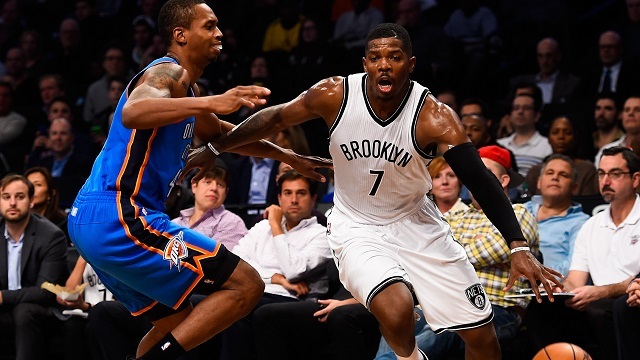 I'd like to thank NBA superstar Joe Johnson once again for his 3rd purchase from Mugleston's Pitbull Farm. Thank you for your continued support Mr. Johnson. 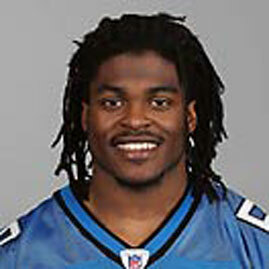 Robert Ferguson former wide receiver for the Green Bay Packers comes to Mugleston's Pitbull Farm for his Monster bull. Thanks Mr. Ferguson! 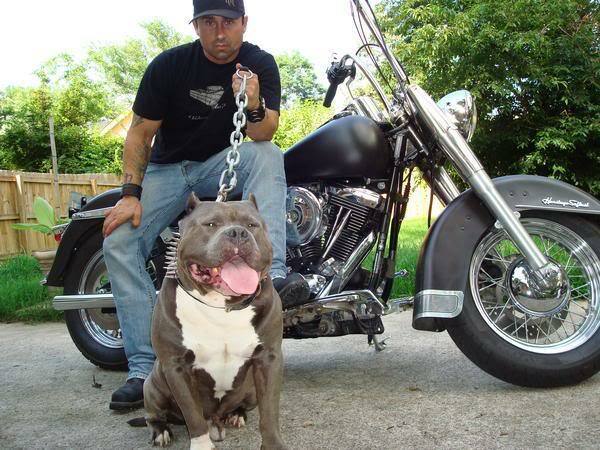 Pitbull Farm for his Bully pit. 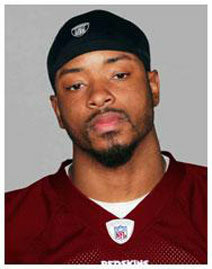 I'd like to thank NFL superstar Ernie Sims once again for his 4th purchase from Mugleston's. Thank you for your continued support and faith in us Mr. Sims. 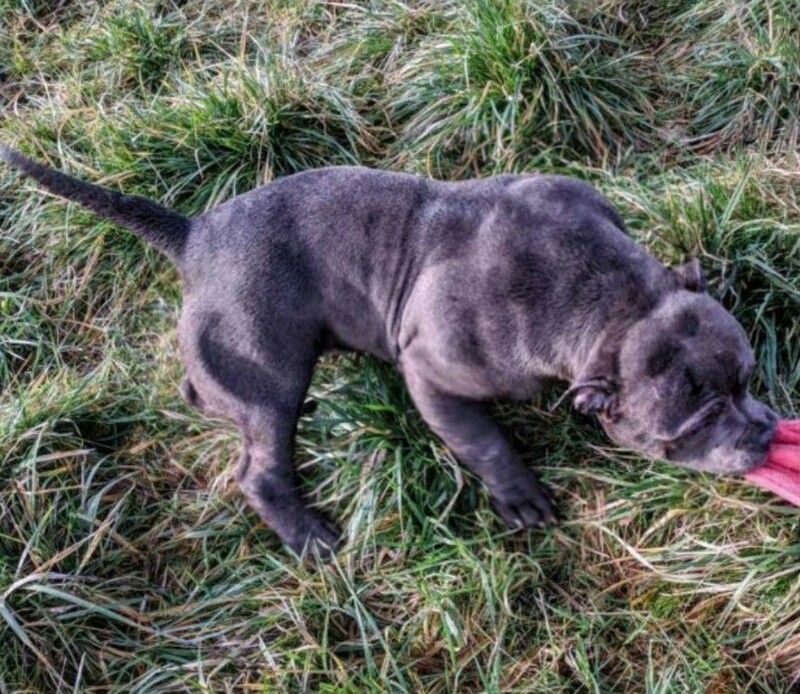 A puppy produced by former Pro NFL linebacker for the Detroit Lions and Dallas Cowboys Ernie Sims using his dogs he bought from Mugleston's. Thanks a million Ernie! 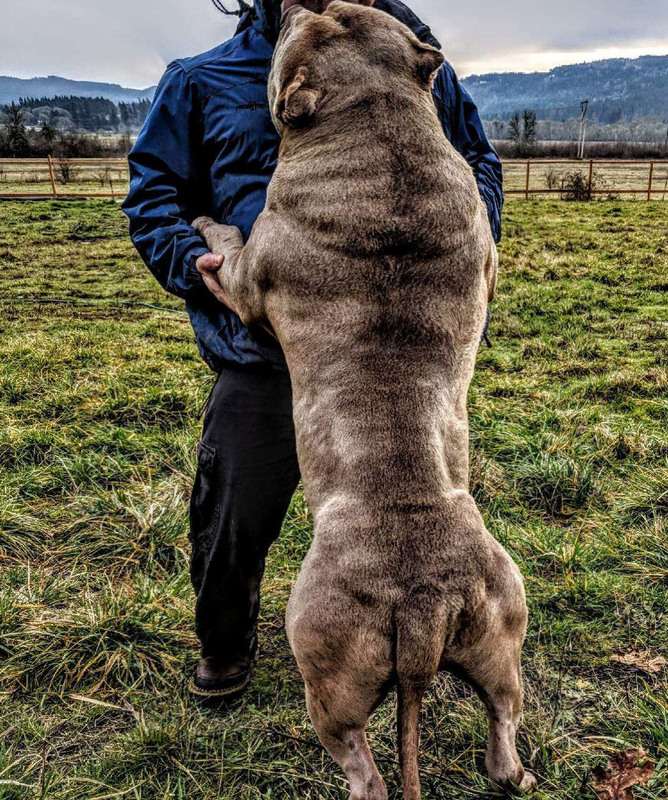 Mugleston's Pitbull Farm in conjunction with Oregon's best Blues presents some of the nicest bully pits available. 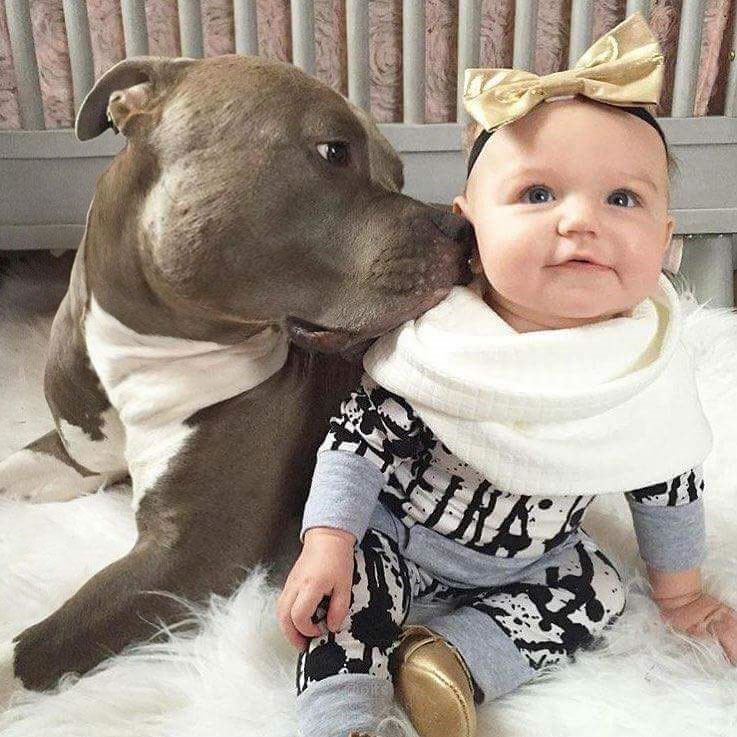 We love our bullies and we think you will too. 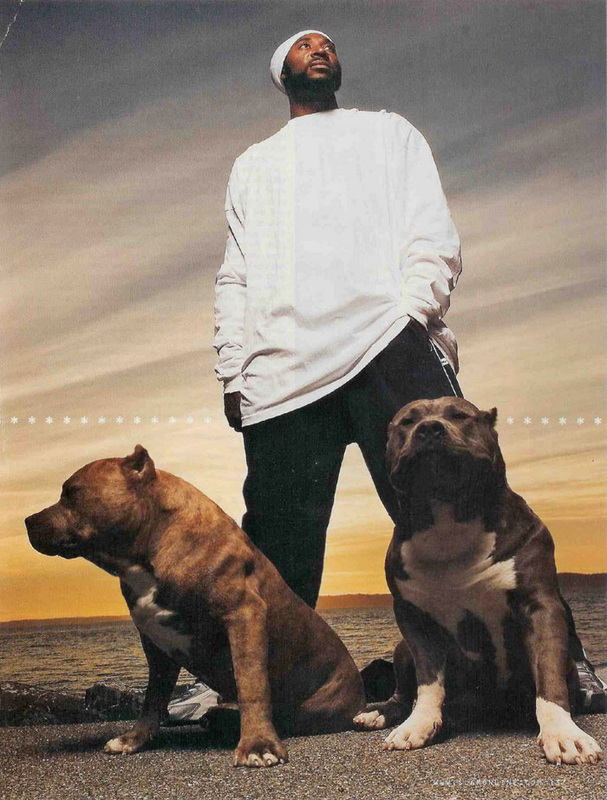 Produced right here at Mugleston's Pitbull Farm Circa 2006. This Beast was the result of Generation's of Mugleston's breeding program even back in the early 2,000s. Got Structure? PUPPIES AVAILABLE FROM THIS GIRL NOW! Welcome to Mugleston's Pitbull Farm. SCROLL DOWN! Also check out our males, females, and breedings pages. World famous Quality! (918) 218-4567. Texts usually answered within 30 minutes, Voicemails within 24 hours UPDATED 4/12/2019 NEW UPDATES AND PICTURES EVERY WEEK. Super cute baby monsters Available now, CLICK HERE! 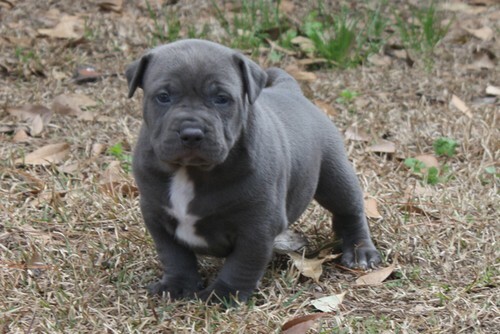 WE SHIP OUR XL BULLY PITBULL PUPPIES WORLDWIDE! He's stalking lol, about to pounce on 2 of our other bulls. I love his personality. Monster 10 month old Pac-Man son. 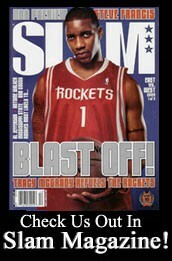 Former NBA star Michael Dickerson with his 6 month old Mugleston's puppies as featured in SLAM Magazine. WARNING, THESE DOGS ARE NOT FOR EVERYBODY! 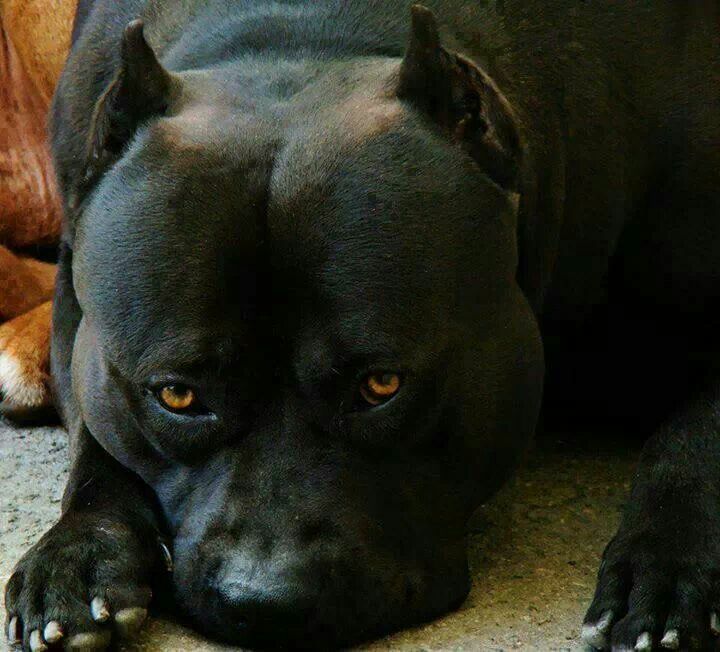 THESE DOGS WILL SCARE PEOPLE AND GATHER CROWDS EVERYWHERE YOU GO! 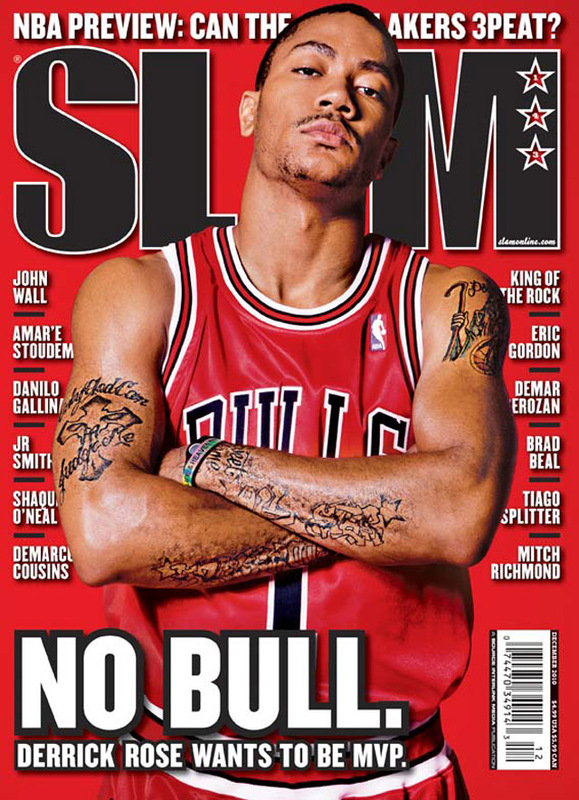 These bulls just look intimidating. They are extremely intelligent, friendly, loving, and the most loyal breed of dog on earth. 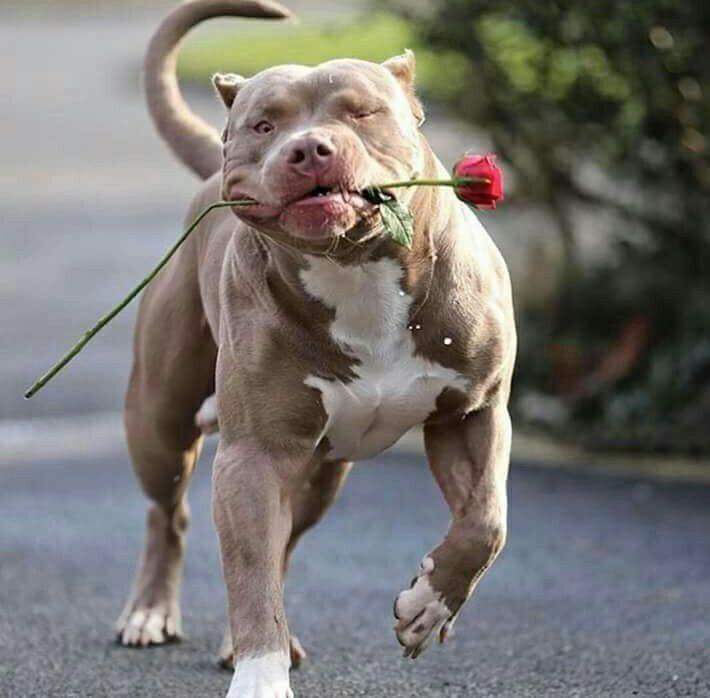 But as I said, these Ripped Bully American Pit bull Terriers WILL get serious attention everywhere you go whether you want it or not. You have been warned! On the positive side, they are very easy to train and these dogs live to please. Awesome personality and high intelligence has been our main priority in breeding for over 20 years. 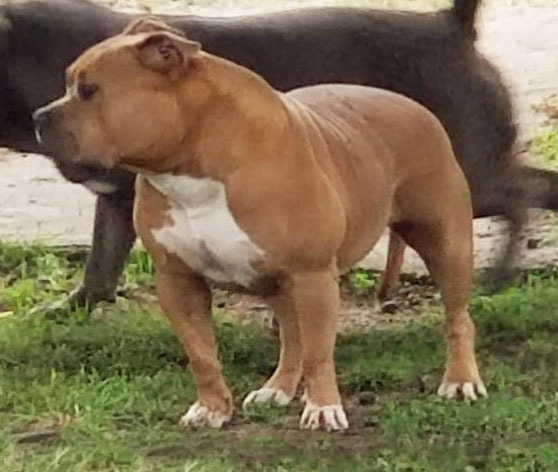 With thick overbearing females that surpass most kennels males, our mission is to produce the ultimate American Pitbull Terrier, The complete package. Mugleston's Champion and Grand Champion bloodlines have gotten bigger and better every year for over 20 years. 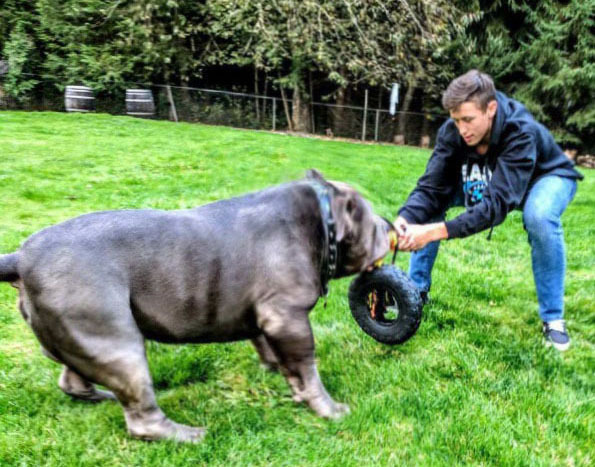 Many pitbull kennels talk big, but in person Mugleston's Dominated the XL XXL competition in every major Bully Expo entered in 2015, 2016, and 2017. UKC/ABKC/USBR JUDGES agree. 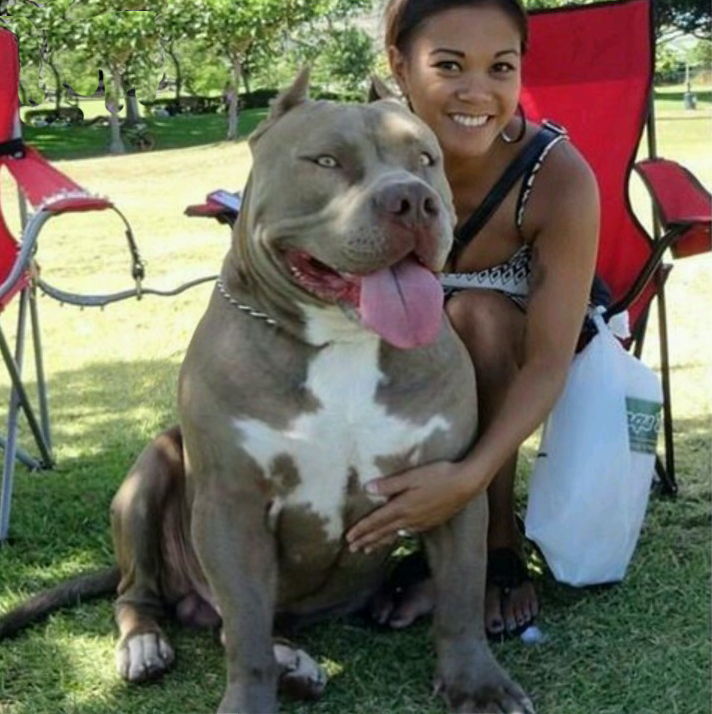 With thick overbearing females that surpass most kennels males, our mission is to produce the ultimate American Pitbull Terrier. The complete package. The disappointment of low quality is remembered long after the sweetness of a cheap price is forgotten. Quality isn't expensive, it's priceless. 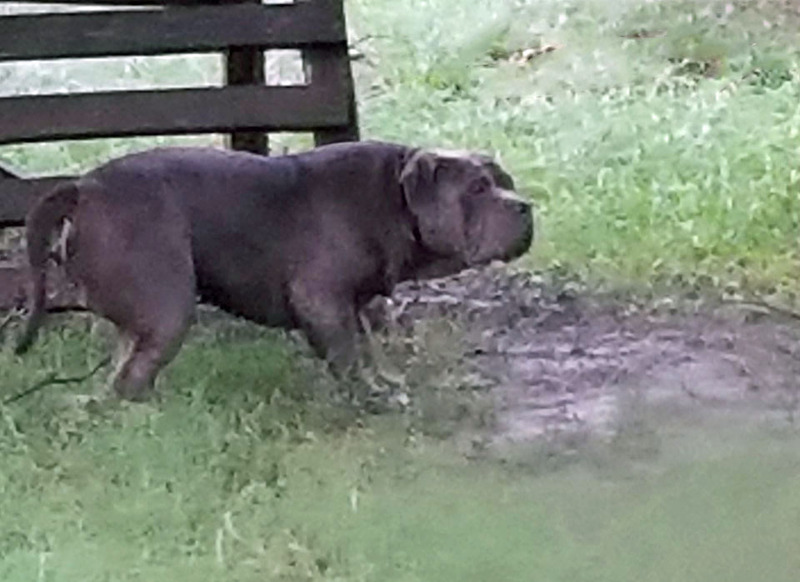 Mugleston's Boogie, produced right here at Mugleston's over 10 years ago. 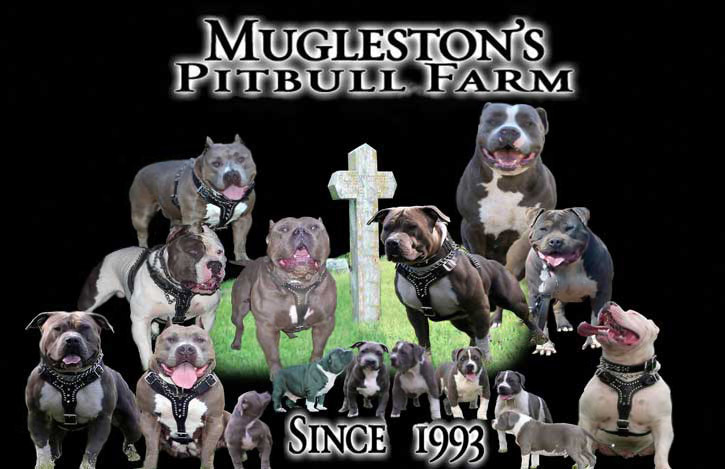 Welcome to Mugleston's Pitbull Farm and some of the most awarded pitbulls in the world today. Producing award winning XL and XXL pitbulls since 1993. 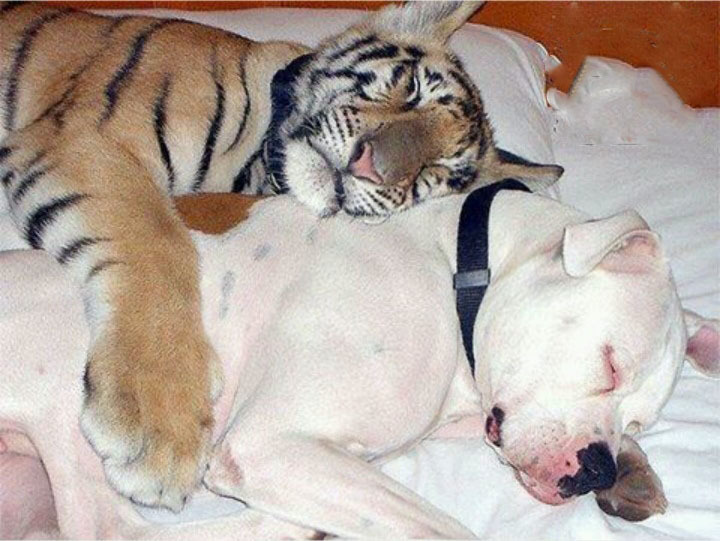 Our pitbulls are unlike anything out there, and we are constantly stopped everywhere we go with these beasts. 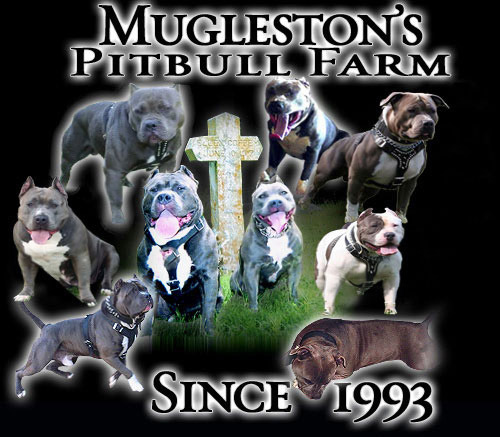 Mugleston's has dominated the major bully expos and has set the standard for over a decade. UKC and ABKC/USBR judges and the massive crowds that gather around us at bully conventions agree, Mugleston's has the nicest XL XXL bully ripped pitbulls in the world right now. 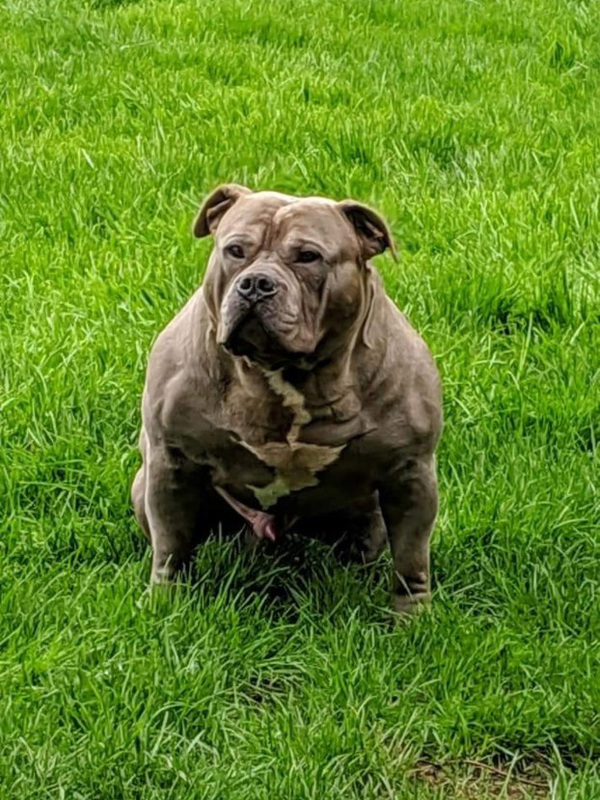 If you are looking for the biggest ripped pitbull available with an amazing temperment, you have come to the right place. 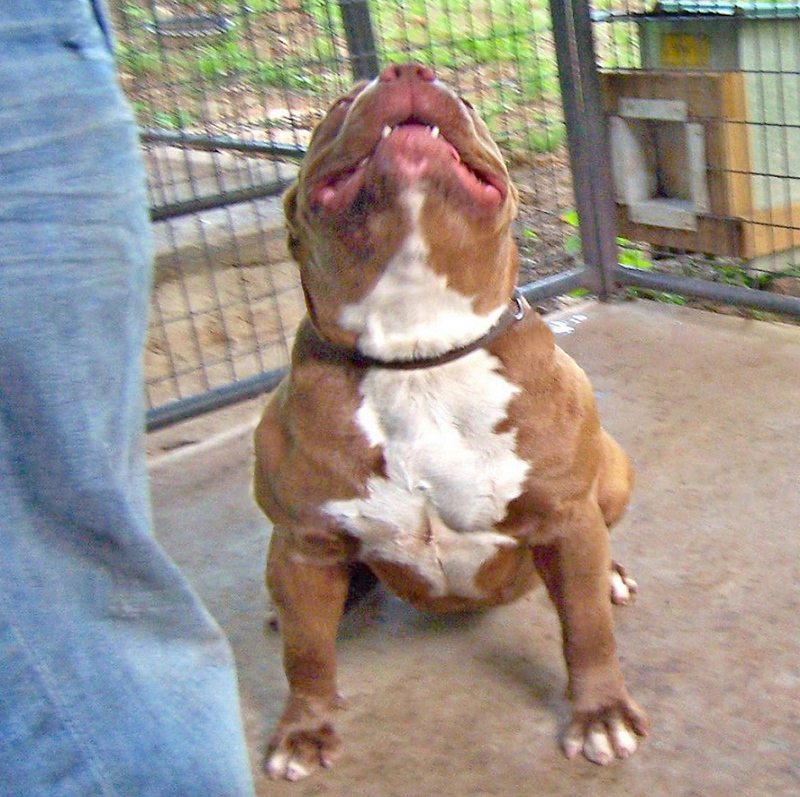 Mugleston's Pitbull Kennels. These dogs are our passion. 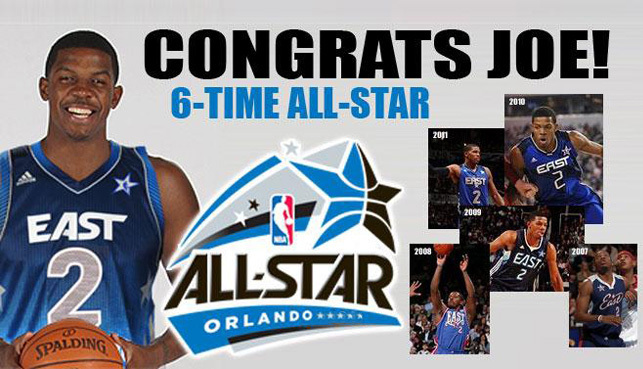 Since 2003, 46 Celebrities, Pro NFL, and NBA players and coaches choose Mugleston's for their all star dog. Check out some of Mugleston's past satisfied customers! 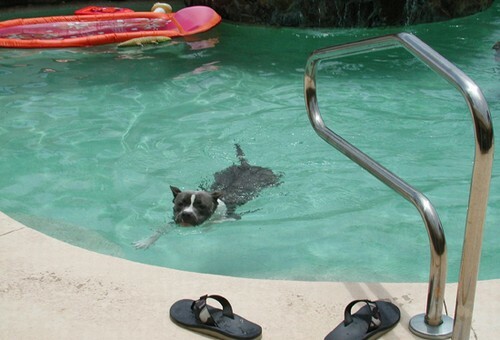 Have questions about your Bully American Pitbull Terrier ? Intestinal worms in dogs and cats. Not a great topic at the dinner table, but if you are serious about the health of your bully. Dog training A-Z Dog training and manners 101. 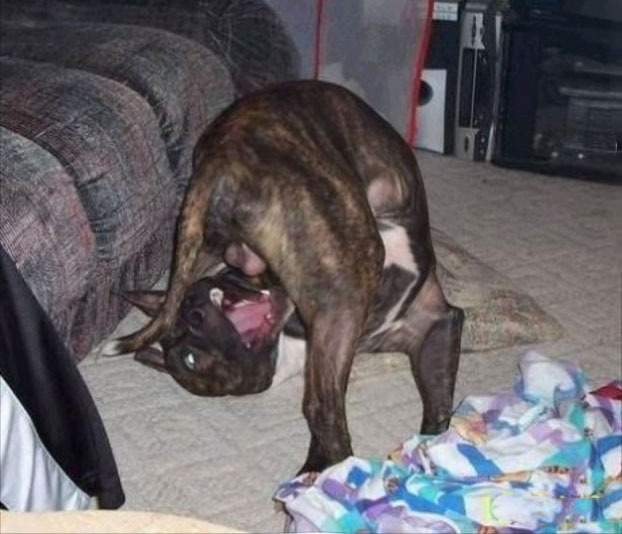 History of the American Pitbull Terrier. Cancer and your bully. Human cancer treatment goes to the dogs. Just about anything and everything you could ever want to know about your dog in an alphabetized list of hundreds of topics. An awesome dog resource site. Need spike collars, awesome harnesses, or anything else made just for your Bull? Click here. Pitbull Supply has everything. INTRODUCING THE GPS PETS MICROCHIP. WORLDS FIRST MICROCHIP WITH GPS for pets! THE BEST PET TRACKER AVAILABLE. Always know exactly where your pet is anywhere in the world right from your smartphone. Install the GPS microchip in your pet and track their exact location and body temperature from your smartphone or tablet 24/7. Stay tuned for more info on this incredible product. Please watch and like our video below for more info. Click the banner below to like and follow the GPS Pets microchip Facebook for updates and to pre order. Mugleston's won The People's Choice award at every UKC, ABKC, and USBR show entered world wide in 2015 and 2016. 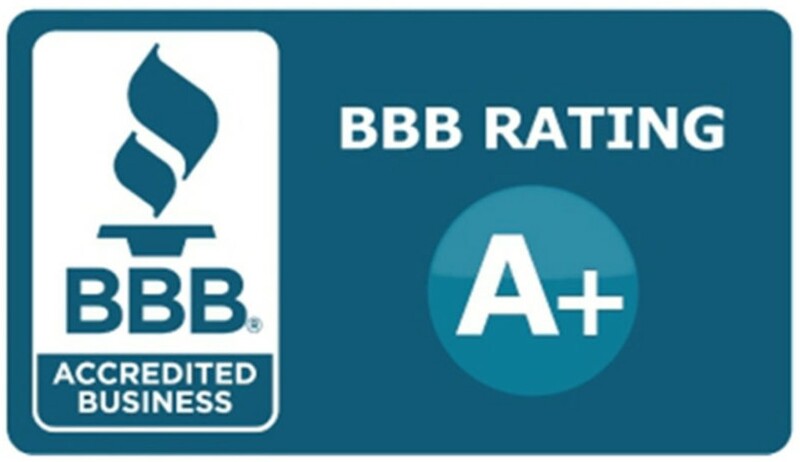 Mugleston's, the original creators of the UKC "PR" XL XXL Ripped bully American pitbull Terrier back in the 1990s, was voted #1 XL entry in the country with more best in breeds than any other XL XXL kennel in 2016 and 2017. These dogs have been our passion for 20 years. Even most pitbull convention judges freak out when they see our dogs in person for the first time. Since entering UKC/ABKC/USBR competition again in 2015, no other pitbull kennels have been able to compete with Mugleston's in person. With now 100s of "Best of" trophies and ribbons, BEAT US IN A SHOW AND YOUR PUPPY IS FREE!! 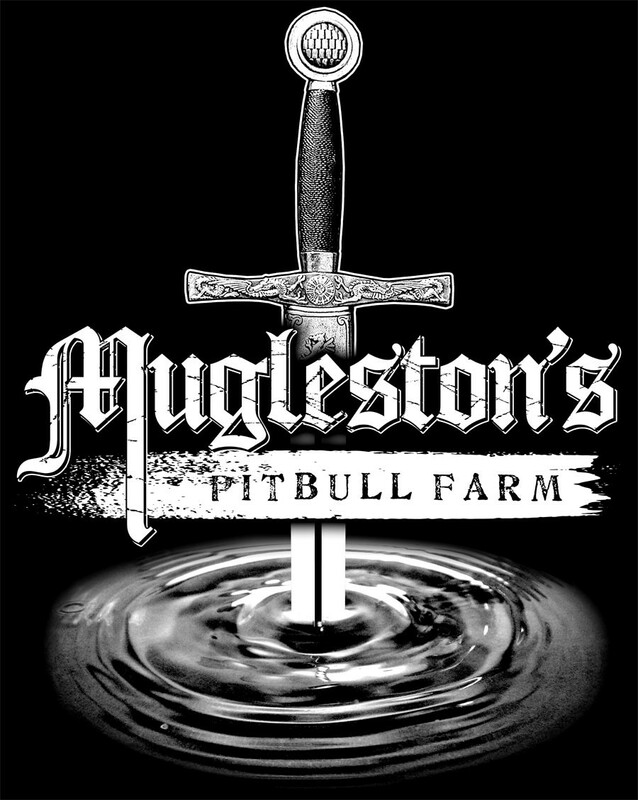 Mugleston's is a small Bully kennel Nestled way out in the rural countryside where we have over 50 acres for our "bully pitbulls" to run and play. Most of our "XL XXL pitbulls" are loved house dogs and not locked up in tiny kennels all day. Because of this our bulls are located in loving homes around New York, California, Oregon, and the US with good friends, family, fellow animal lovers, and our awesome kennel partners. Our dogs are more than just pets, they are loved family members. 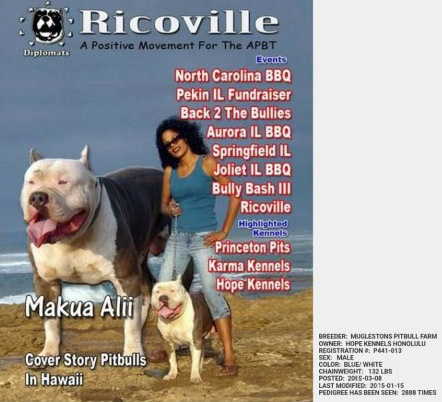 Our bulls are technically American bullies and many of our customers are dominating ABKC American Bully Conventions with them. We are true animal lovers who have been passionate about producing the next ultimate XL Bully APBT for decades. All the kennels that were around even 10 years after we started are all gone now. Mugleston's, producing the best for over 20 years. Click below to see video of a recent typical Mugleston's puppy. Checkout Mugleston's breedingsfor details, PUPPIES AVAILABLE! Structure bred for heavy substance, bone & muscle mass, and extreme head and chest without compromise to proper movement and conformation. The most loyal breed of dog on the planet selectively bred for tremendous athletic ability with protective qualities and an outstanding willingness to please. With just the right amount of gameness without compromising terrific temperaments & wonderful personalities. Out of all the traits we breed for, we believe intelligence is by far the most important. 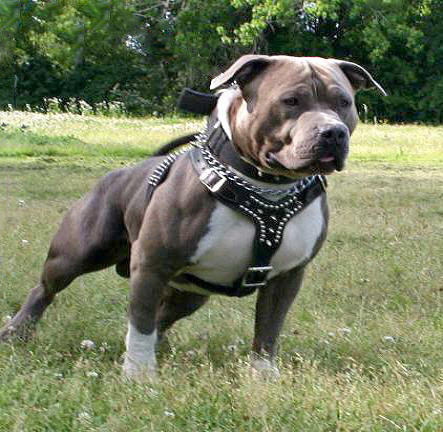 It's a documented fact that pound for pound the American Pitbull Terrier is the strongest and most athletic breed of dog in the world. 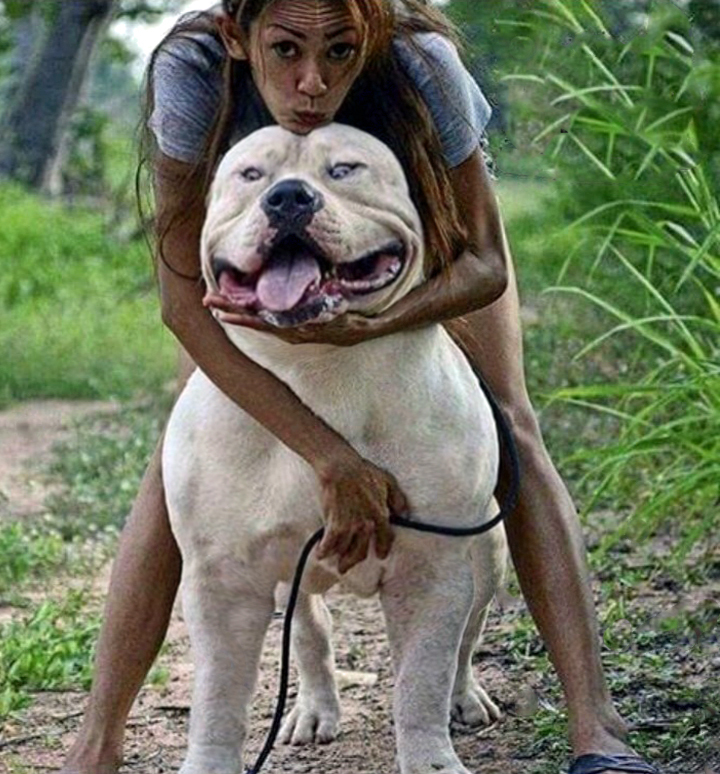 With thick overbearing females that surpass most kennels males, our mission is to produce the ultimate American Pitbull Terrier. The complete package. Excellent weight pulling prospects with strong Champion and Grand Champion lineage. 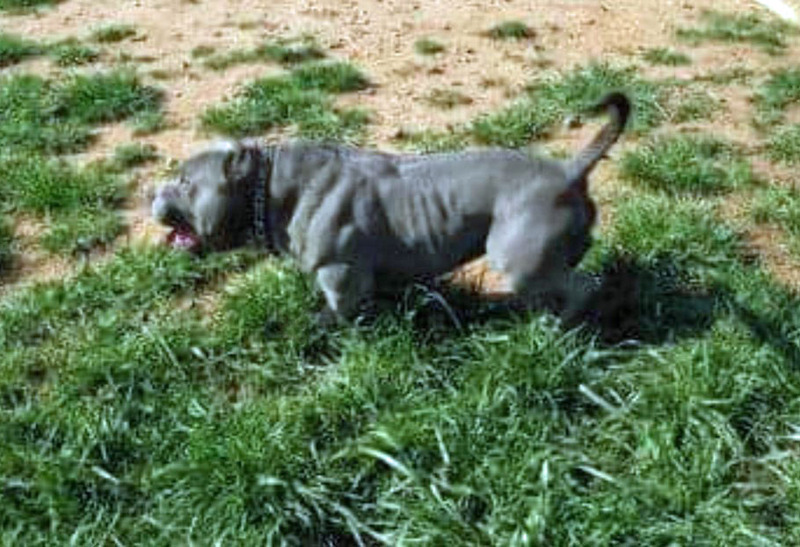 All Mugleston's XL XXL Blue pitbulls are UKC/ABKC/USBR registered and most are Purple Ribbon. 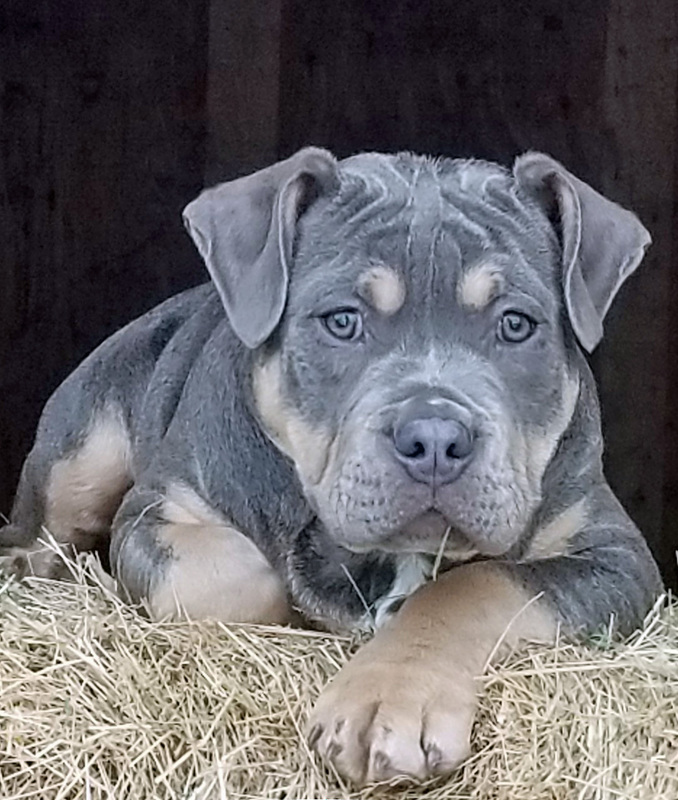 We do not breed for color but have many combinations of blue pitbulls, black, white, fawn,brindle and even rare champagne cinnamon colors in many unique designs and combinations. Unsurpassed puppy care, hand delivered, pups raised with our children and lots of love. Shipping worldwide & health guarantees available. Buy the top bloodlines in the world with complete confidence at Mugleston's Pitbull Farm. 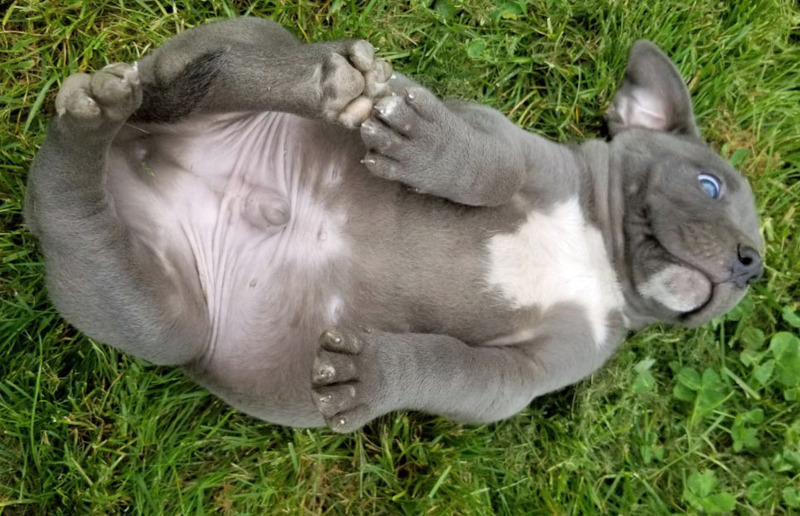 Deposits and any/all payments sent whether for current puppies or anticipated puppies from current or future breedings are non refundable but may be freely transferred to any other puppy, litter or adult dog for sale here at Mugleston's pitbull farm at any time, now or in the future. 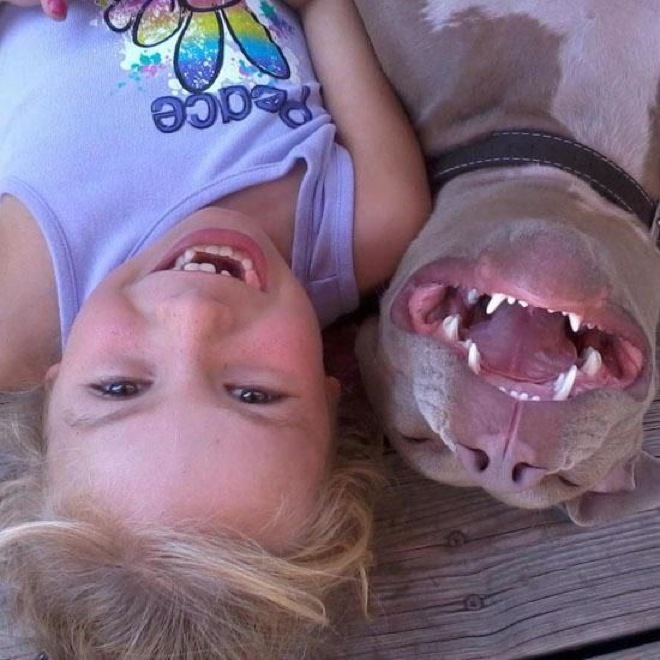 We are obsessed with breeding a superior line of American Pit bull Terriers. We love our dogs and do most of our breedings for ourselves as we are always striving to improve our bloodlines. We have been breeding pit bulls for almost 20 years now and occasionally have puppies and adult dogs for sale. 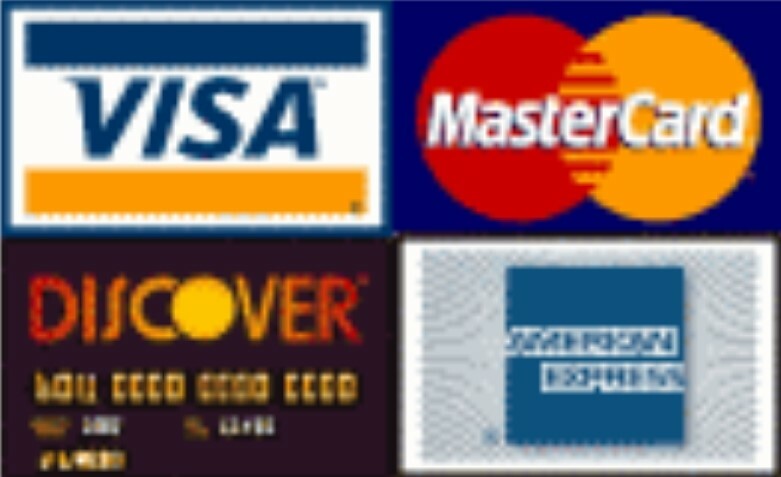 Feel free to browse the site. If you have any questions or comments please feel free to call or text us anytime. 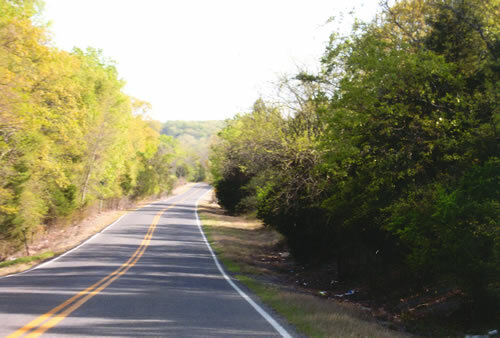 (918) 218-4567 And as always thanks for visiting Mugleston's Pit Bull Farm. 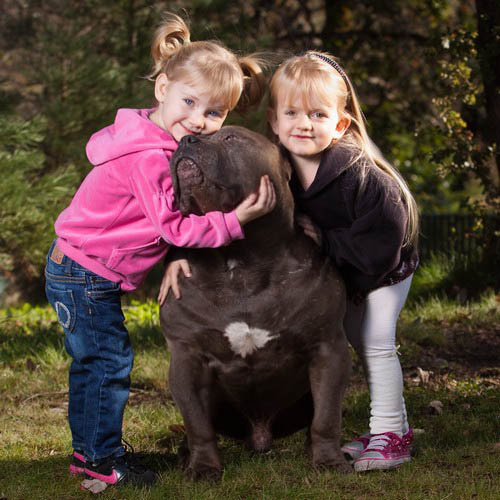 2 female Mugleston's pit bull pups at 4 and 6 months old being trained by their new owners 6-year-old daughter. 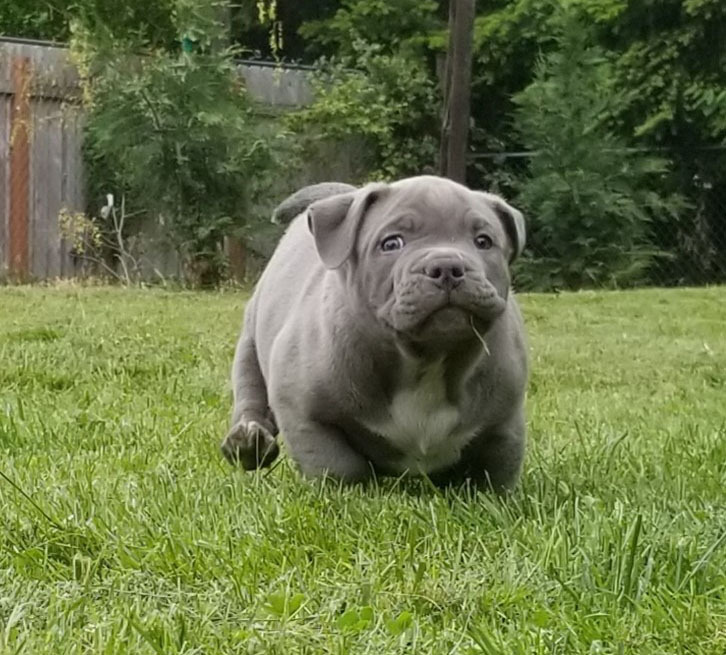 WE SHIP OUR XL & XXL BULLY PIT PUPPIES! We will hand deliver to your front door and have shipped worldwide for 20 years. We ship to Alabama, Alaska, Arizona, Arkansas, California, Colorado, Connecticut, Delaware, Florida, Georgia, Hawaii, Idaho, Illinois, Indiana, Iowa, Kansas, Kentucky, Louisiana, Maine, Maryland, Massachusetts, Michigan, Minnesota, Mississippi, Missouri, Montana, Nebraska, Nevada, New Hampshire, New Jersey, New Mexico, New York, North Carolina, North Dakota, Ohio, Oklahoma, Oregon, Pennsylvania, Rhode Island, South Carolina, South Dakota, Tennessee, Texas, Utah, Vermont, Virginia, Washington, West Virginia, Wisconsin and Wyoming. 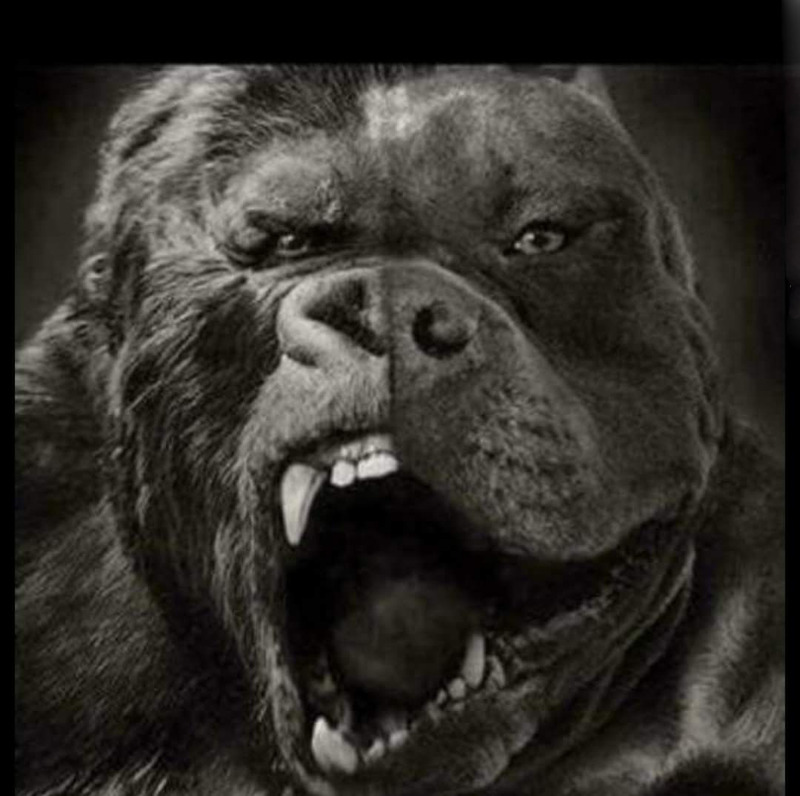 Muglestons "XL Pitbulls" or "XXL Pit Bulls" is a high quality "pit bull kennels" specializing in monstrous "XL American Pitbull Terriers". 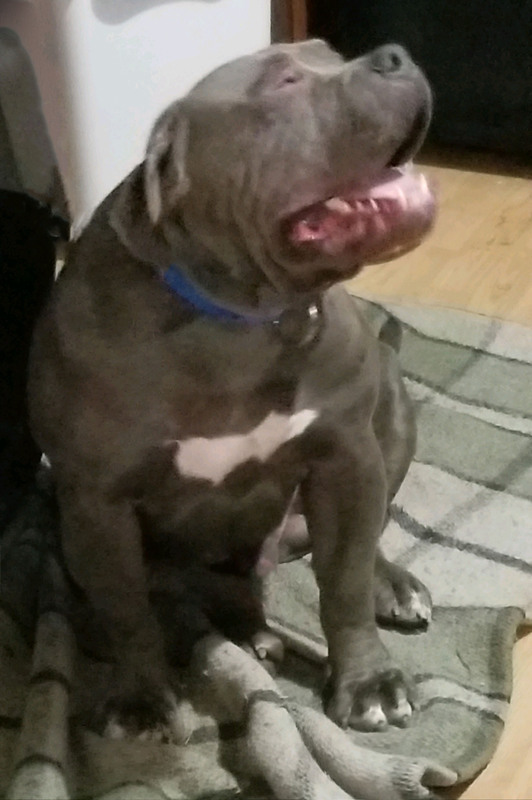 We love our "XL Pitbulls" and "XL blue pitbulls". 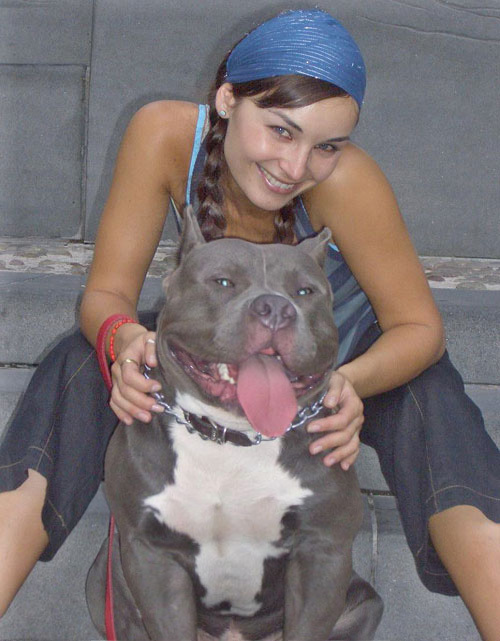 We often have some "XL blue pitbulls" or blue "American Staffordshire Terriers" for sale. Here at Mugleston's Pitbull Farm we have been breeding the "XL American Pitbull Terrier" for structure and personality since 1993. 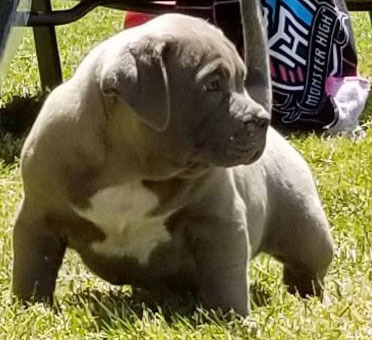 We have been breeding "XL Blue pitbulls" or "American Staffordshire Terriers" here at our country "pitbull kennels" since 1998. 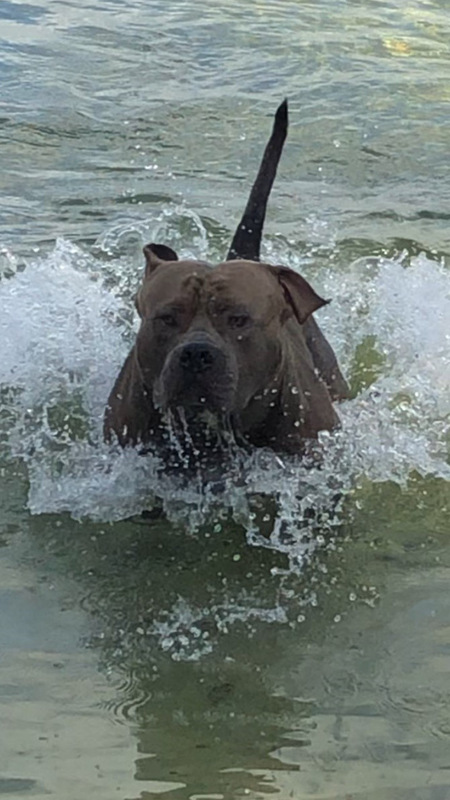 All of our "American Pitbull Terrier" and "Blue Pitbulls" are UKC registered and all our XL pitbull puppies come with complete UKC/ABKC registration. 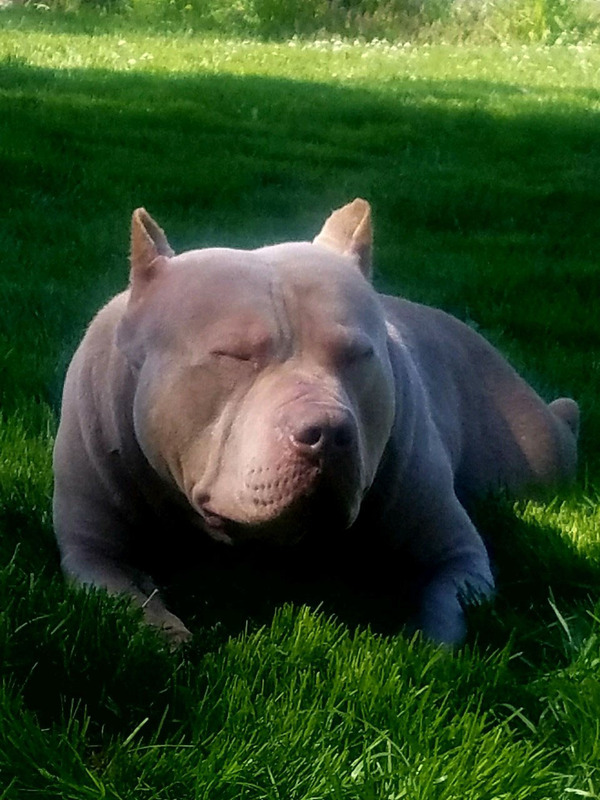 We believe we have some of the most impressive and muscled up "XL pit bulls" bloodlines in the world here at our country "Pitbull kennels" and we will continue to improve our "XL pitbulls" bloodlines for years to come. 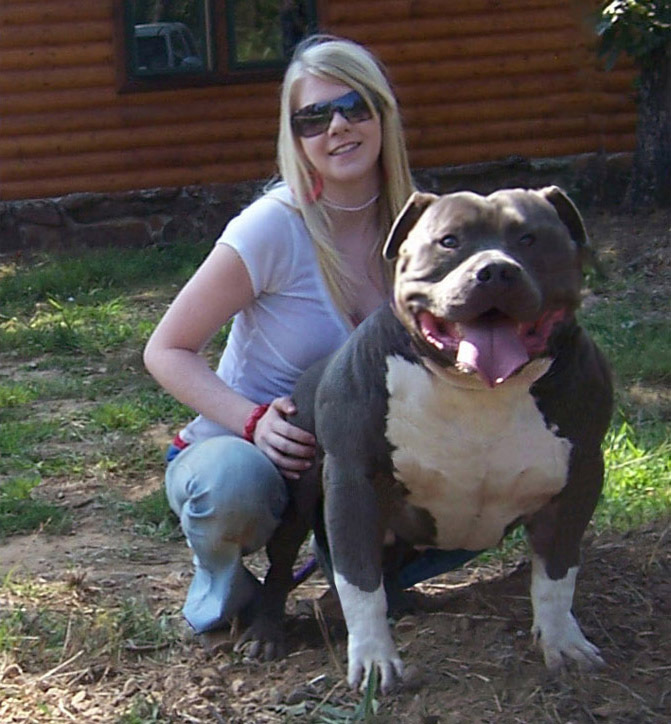 Our goal is to produce the very best "XL Pit Bull" bloodlines available on earth.